What possible yoga relationship could he have to someone like me? Or anyone in the real world? Can you imagine your next door neighbour sitting in his front garden doing this all day? How would he eat, work, deal with the tax man, social security, power cuts, the washing, kids being sick etc. etc.? So it was with interest that I went along to St Martin de Londres, to their little cinema (with very comfy seats) to listen to a talk given by one of the founders of the Institut Français de Yoga, François Lorin (b. 1941). He talked for an hour about yoga, and why doing it is such a good idea. 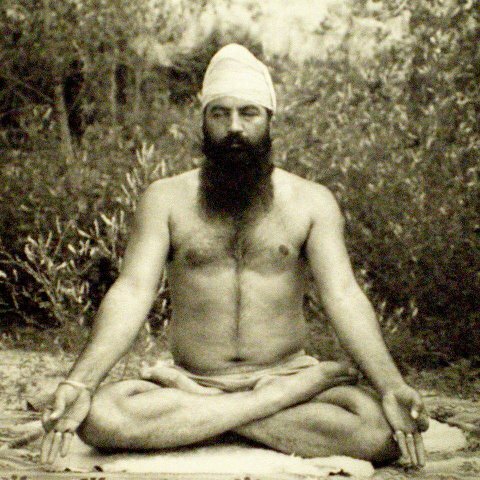 If I remember rightly (but don't quote me), the essence of yoga is that it unites the physical body with the mental. We have a tendency to think that our hands, for example, have nothing to do with our psyche. In yoga, you accept that your whole being is in close association - a oneness of mind and body. The ultimate aim of yoga is to banish perturbing thoughts which have such a negative effect on our mental well-being. Both of these aims can be achieved by doing the postures, meditating, and learning how to breathe. When you concentrate on a movement, you are not letting those nasty, destructive little thoughts perturb you. There's a description of Ashtanga Yoga here. It was a fascinating morning, and my enthusiasm for yoga went up considerably. I even have a mat now, and try to do some postures every day. My yoga group was at the conference too, and whilst speaking to another of the women, I learned that she was going to a talk on medicinal plants that afternoon. Oooh! As my DB was sick in bed, I had all the free time in the world, so decided it was just the thing for me and to go along too. The talk took place in Clapiers' mediatèque and was given by Montpellier's Dr Laurent Chevallier who is a nutritionist, herbalist, botanist, and fervent believer in the healing power of plants. It was another absolutely fascinating talk from a man who is often on the radio, and thus totally at home before an audience. 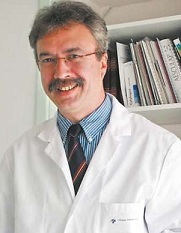 Dr Laurent Chevallier - doesn't he look a sweetie? 1. To help sleep: take Elusanes Passiflore, available in pharmacies. Also aubépine (hawthorn) which relieves stress and is good for the heart. 2. If you're on statins, you'll need chardon marie (thistle) to help boost your liver. 3. Depression: if you've got the blues, take capsules of valériane, and/or millepertuis (St John's Wort). 4. Cellulite: take reine des près (meadowsweet); also for squeaky joints (I'll remember this one). Someone asked why there is no herbalist diploma in France because there is increasing interest in herbal medicine. Dr Chevallier told us that he was part of a group that wrote the material for a herbalist diploma, but that the whole thing has been shelved indefinitely. Why? Because the government doesn't want to open up a 'new' branch of medicine. After all the trouble they've had with osteopathes, they have decided not to provoke any more by developing an official herbalist medicine. This means that practitioners can tell you what to take, but they are not supposed to write it down, and, of course, the items won't be reimbursed. Yet another potential job creating sector is squashed, something this government excels at! NB Of course, if you're already on medication, you should always check with your doctor before taking herbal remedies. I'm not in favour of banishing perturbing thoughts...I'd rather deal with what's behind them. I had a German doctor when young and he was hot on natural remedies...so to some extent I've stuck with his ideas...all very well but now have to adapt to tropical ones! You must be spoilt for local tropical remedies. Have you found a reliable source of information? A friend who has kept her granny's remedies - though some of the plants are getting hard to find with the changes in land use. You may be able to find them on the internet, or a local herbalist, if such a person exists! I'm a big believer in all things natural and once went to a meditation centre just to be polite to someone, which sparked my body into doing its own spontaneous yoga! It still will if I sit down for long enough but that's a rare occasion nowadays, so I miss it. You have inspired me to sort myself out and make it a priority again. I heard valerian was good for sleep and find drinking the tea makes a difference. My nana gave me a book her father had about herbs - with all his handwritten notes in the margins. It's brilliant. Hope your DB gets better soon but it sounds like this was a fortuitous day for you! There used to be a super resto in St Martin de Londres. Do you know if it's still there? I think it is, but I've never been there. The problem with places you have to drive some distance to is that one of you can't drink (and guess who that person always is), which rather spoils the experience. I now have a lovely image in my head of Ptanjali getting up from that position whist muttering under his breath about what he'll do to his son when he gets his hands on him. Since so many successful modern medicines have originated from plants in the first place, it's surprising really that more research and backing isn't given to herbal medicine today. One has to wonder cynically if Big Pharma has something to do with the decline of herbal medicine. When I read "medicinal plants", I thought of only one thing....pot. Gosh, you scared the be-geezers out of me, Sarah. Yes, I too think it's best to try natural remedies, if at all possible. Obviously, not everything can or is curable by nature alone. Sometimes, you need a little poison to make yourself well again. HAHA! DD, you had me smiling there. No, there's no pot in the mix there, although some people swear by it for certain treatments.